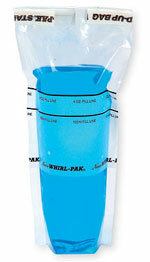 Whirl-Pak Bags, with write-On area are available in 5 convenient sizes. The white, write-on strip makes sample identification easier and more convenient. It's easy to write on this white strip using an ordinary ballpoint pen, pencil, or felt-tip marker. The paper-like finish virtually eliminates ink smearing, and provides a surface that will accept a variety of writing instruments. Plastic sample bags feature smear-proof white writing area makes sample identification easier, will accept ballpoint pen, pencil, or felt-tip marker. 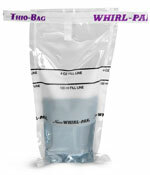 Capacity is measured in fluid ounces when the Whirl-Pak bag is closed and tab is folded over three times. Volume and dimensions are approximate; bags should not be used at temperatures above 180°f (82°c). Bags can be frozen to any temperature, even liquid nitrogen - careful handling required after freezing. 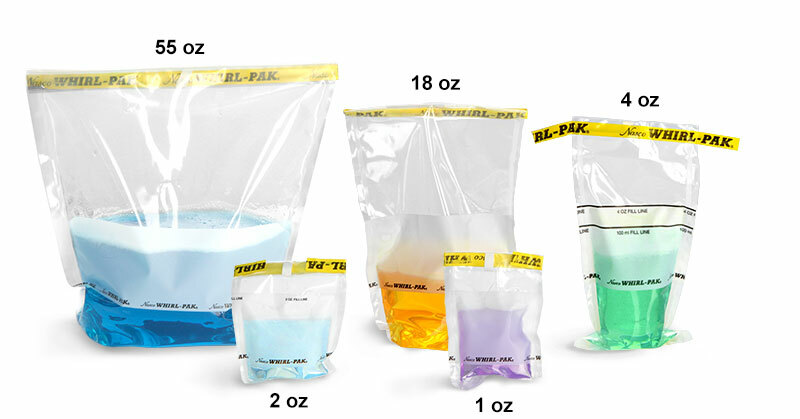 All Whirl-Pak Bags, with Labels, are sterilized after manufacturing.